To the surprise of absolutely no one, Raging Sage clinches the coffee category once again. 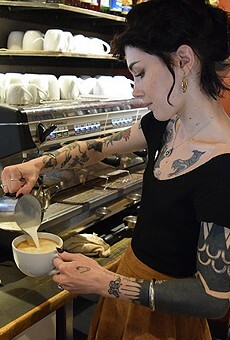 Not only do they offer a succulent selection of espresso and sweets, their staff are pretty sweet as well. There's no doubt that their scone pairings make the Raging Sage coffee experience just that much better, but with their consistent ranking in this category, it's certainly a winning combination.